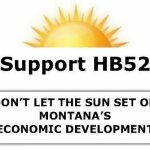 Montana Economic Developers Association (MEDA) April News – No Foolin’! MEDA Spring Conference Hostsare working to put the finishing touches on a unique event in a unique location: Glendive, Montana. 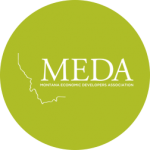 MEDA is hosting a display event and lunch on January 23rd, in the Rotunda, at the Montana State Capitol for legislators.